For our first fundraising post, we here at Project Giving are excited to introduce to you Yokaenso, a small non-profit organization based in Mwanza, Tanzania, which seeks to promote environmental conservation and create youth employment & empowerment in their local community. As a brief reminder, 100% of all rewards from this post will be given directly to the Yokaenso charity in order to facilitate the important work they do to improve their local community. This post will outline both what the Yokaenso charity does and how their work could be bettered thanks to the help of you and the Steemian community. Emmanuel (pictured right) was born in a small rural village near Mwanza in 1986. By the age of 6, he had lost both his parents and was thrust into a life of uncertainty without a home or close family to care for him. Like thousands of other 'street-children' in the city of Mwanza, he was forced to contend extreme hardships and accept the lack of opportunities or services provided by the government to help him escape the poverty cycle that had become his reality. Luckily though, Emmanuel found help through an NGO (Non-Government Organization) based in Mwanza called Street-wise Africa which brought him into contact with teachers, social workers and other community members providing him with a new family and importantly, the chance to complete his primary and post-primary education. 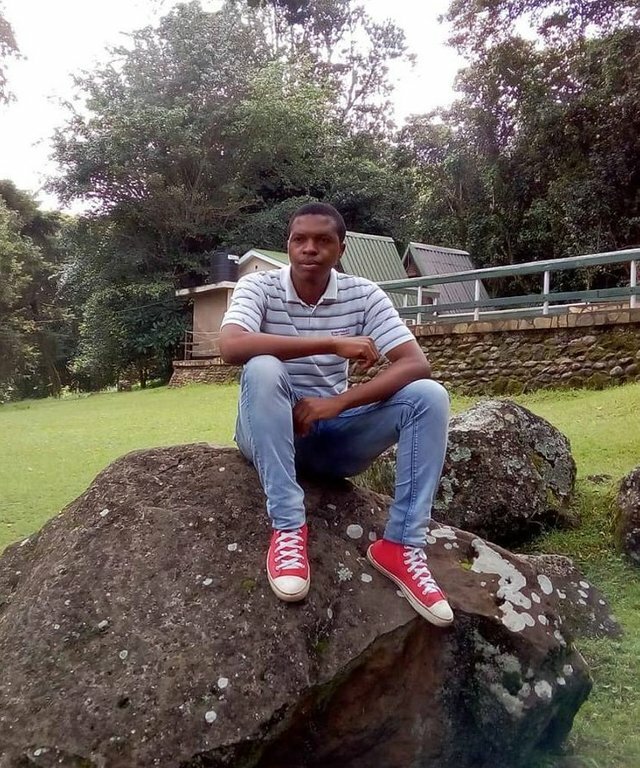 Thanks to this kindness of others and fundraising, Emmanuel was given the opportunity to travel to Nairobi, Kenya and pursue higher education. However, instead of pursuing private sector employment, Emmanuel decided to study social work, community development and psychology counselling with the dream of returning to his local community and using his skills to help others escape poverty and succeed. 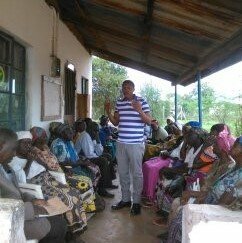 Taking in all the lessons which his life had provided him with, Emmanuel returned home to Mwanza and started Yokaenso with the goal of improving and empowering the lives of his fellow community members, while also finding innovative ways to improve the ecological conservation of the area. First and foremost, Yokaenso improves youth empowerment and opportunity by drafting young community members to both help run and participate in the actions of the charity. In this way, volunteers can gain essential business administration skills, project management skills, and experience working for a registered NGO. Yokaenso has identified youth unemployment, lack of food security and the lack of recycling in the area as three extremely consequential problems facing their local community. With a current team of 12 youth volunteers from the area, Yokaenso seeks to overcome these societal and environmental problems by implementing the following 4 projects. The proliferation of plastic waste is a serious problem around much of Africa. 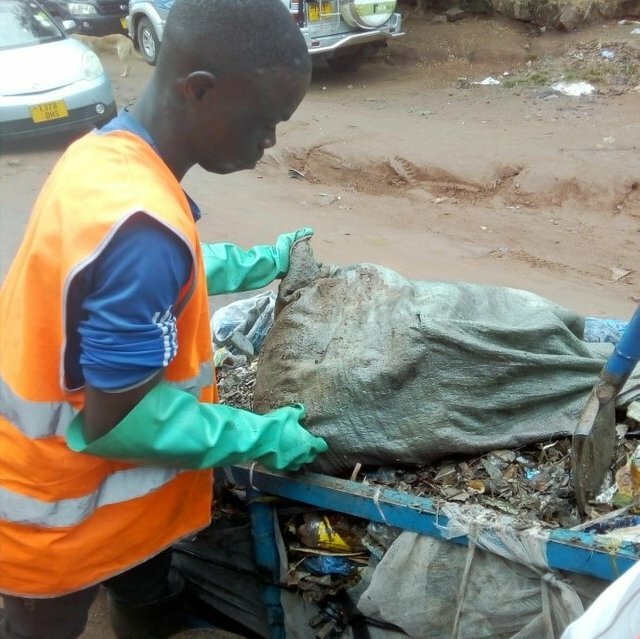 In Tanzania, many smaller rural communities get no assistance from the government for waste removal and for this reason, plastic waste is either burnt or discarded on the streets. 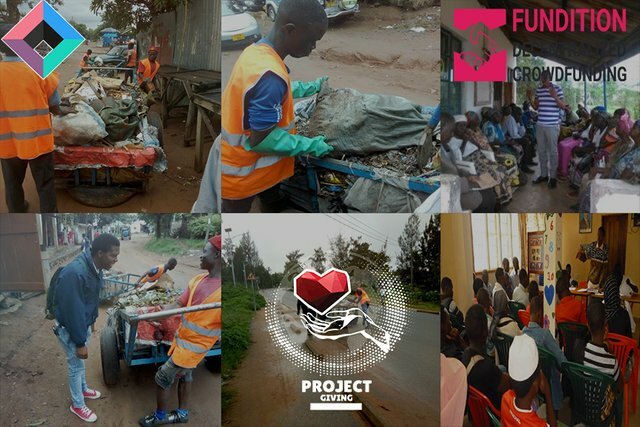 To tackle this problem, the Yokaenso team has started a waste collection program where volunteers travel around their local community with a large cart and collect plastic and organic waste from different households. The plastic waste which is collected is then recycled properly instead of being burnt or discarded. Meanwhile, Yokaenso turns the organic waste which it collects into high-quality fertilizer which can be used in local farms. Tanzania is still a national user of plastic bags which only adds to the waste problem in the country. To improve this issue, Yokaenso distributes re-usable paper bags to local community members which are environmentally friendly and disposable. As previously mentioned, the organic waste which Yokaenso collects is used to create high-quality fertilizer which is extremely helpful for to increase local food production. Keeping to its goal of improving food security in the area, Yokaenso eventually seeks to build a community farm which will be used to distribute locally produced food-stuff to the community. Due to unreliable access to food in Tanzania, especially during the dry months of the year, having increased community food production is an essential part of improving people's access to food. Yokaenso believes that education is key to positive development. To facilitate this, Yokaenso members hold numerous community workshops on entrepreneurship and business management. During these workshops, Yokaenso also expresses the importance of sustainable living as well as sharing easy ways in which local community members can live cleaner, healthier and safer lives. "Yokaenso is the most effective and efficient response to environment conservation, recycling, food security and hunger management. It will help to increase awareness of environment conservation and availability of food in market while facilitating food manufacturing and storage in industry. It will also help to change community mindset on conservation and encourage them to see self-employment as a viable source of income. Yokaenso will open door for students from all over Tanzania for internships, earning experiences and skills in different fields. This it will help them to gain experience and exposure. The project will sustain itself due to that its income generating project/business and ultimately will help in poverty alleviation among educated, uneducated and the vulnerable youths." Using the power of the Steem blockchain, all you need to do to help Yokaenso vote on this blog post. 100% of all rewards collected over the next 7 days will then be sent directly to Yokaenso using @projectgiving's unique accountability systems. If you have already donated and want to do more, you can repost this post or share the word about Project Giving and Yokaenso among other steemians. To help Yokaenso achieve these target, make sure to donate by upvoting below! Project Giving is the Steem Blockchain's first fully accountable Non-Government Organization (NGO) which will bring financial resources and exposure to local charitable initiatives around the world. Through funding these initiatives, we will empower them to make influential social development in their local communities and surrounding environment, all thanks to the power of the Steem Blockchain. Project Giving is driven by the influence of the Steemian Community. We would like to personally thank our two Steemit based sponsors who will be donating a significant community upvote towards Yokaenso. If you run a Steemit community and would like to also become a sponsor, please contact @tristanoliff. @SndBox is a Steem incubator for creatives and communities, they have been extremely important to the development of Project Giving which was in part created through their 2018 #SndboxSummerCamp. @Sndbox is continuously developing, finding or supporting amazing projects on the blockchain and also produce incredible daily content. @Fundition is a next generation, decentralized, peer-to-peer crowdfunding and collaboration platform. Using the power of blockchain technology, @Fundition has established itself as leader in bringing the idea of decentralized crowdfunding to mainstream users both on and off of Steemit. The Project Giving team is extremely glad to have @Fundition as one of our sponsors. @comedyopenmic is a new community which has been set up to give exposure to the best and most entertaining comedic material on the Steemit platform. @comedyopenmic is also running for Witness to disrupt the Steem Blockchain with Laughter! You can vote for them by clicking here! To help raise funds for Yokaenso, use your vote to donate below. Follow @ProjectGiving to hear about our next initiative, and comment below if you have any questions! Im so into this! That these new developing social media models, which create and acknowledge value for those who actually make the content, are now also providing space for humanness .....this is amazing!! I am encouraged by groups that are pushing us toward and reminding us of the necessary part that social empathy represents in this new paradigm. Thank you @projectgiving!!! Thank you so much for that amazing comment! We have been so glad to receive all this motivating support from the Steemit community. I 100% support this amazing initiative to help Emmanuel build his community toward a model of sustainability and recycling for the benefit of everyone. I'm really proud to be a member of the 'Project Giving' team and love what is being done here. 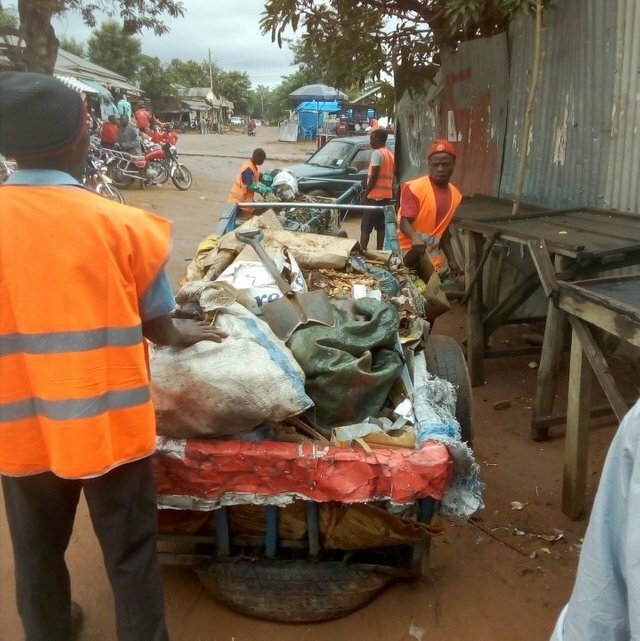 With more support for forward looking people like Emmanuel, we can start to make a dent on our global problems of waste management which, it has to be said, are pretty awful at the moment. Thank you so much for your support and hard work as a member of project giving! Incredibly inspiring person, Emmanuel, and initiative. I love this project and am thankful to be a part of Project Giving! 100% upvote. Let’s see the power of the abundant blockchain in action!! Resteemed! Thank you so much for giving us your time, and thank you for the upvote! What a wonderful community initiative. Great for the environment too! Thank you for checking us out! We choose projects to support based on how they improve their local communities or environments along the UN development goals. It is awesome to see this initiative take off. I will be here to support it and do my best to see it succeed. Thank you so much @maverickinvictus, we are humbled to have you on our team! Hi @projectgiving! You have received 0.1 SBD tip from @f3nix! We are too! Slow and steady wins the race, but now that we are off and running, there isnt much that can stop us from achieving our goals! Thanks, @comedyopenmic for bringing this to my attention. This is great stuff happening. What a good initiative you are carrying out, both of you, Emmanuel as the founder of Yokaenso, and you guys with @projectgiving. I am sure that you will be able to transcend the barriers of blockchain and impact the world by helping those in need. Thank you so much for your kindness and powerful words! Our hope at Project Giving is to showcase to the world the practicality of the Steem Blockchain and how it can be a platform for global change. Hey guys @projectgiving. Have you thought about using @steempress-io? Maybe you can get more funds that way. This a worth supporting project! Amazing! It's great when steemit is used for something so worthy, where we have a chance to show humanity and solidarity. tip! @projectgiving , let me know if I can use your banner and try to give you some further visibility in my fiction contest. All the best!